Lots of conservatives, plenty of food (bring a dish or drinks), entertainment, fun and fireworks. It’s time for Joe Walsh’s Annual BBQ. 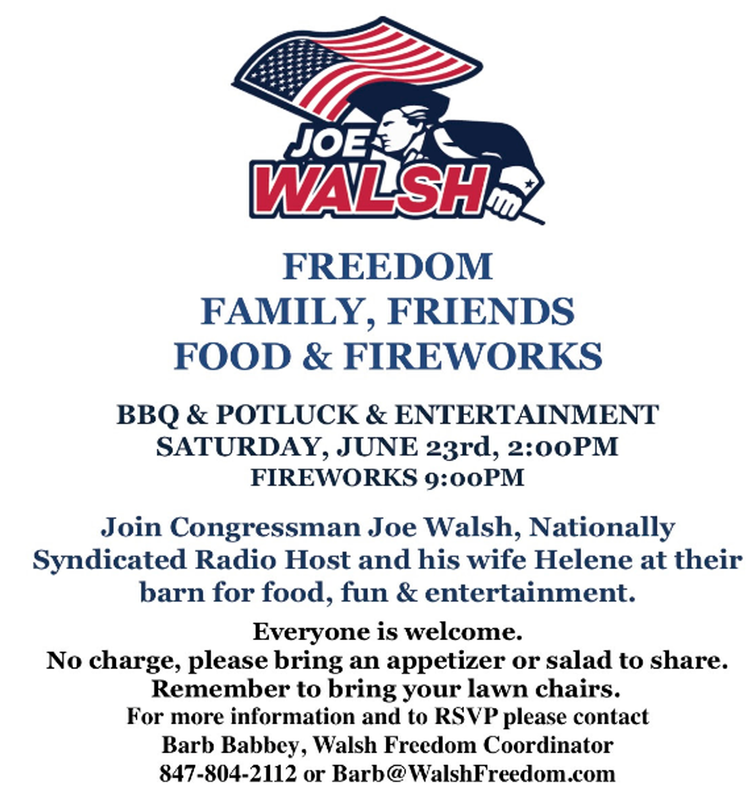 Saturday, June 23rd starting at 2:00PM join Joe Walsh and his wife Helene at their barn for a fun-filled day. 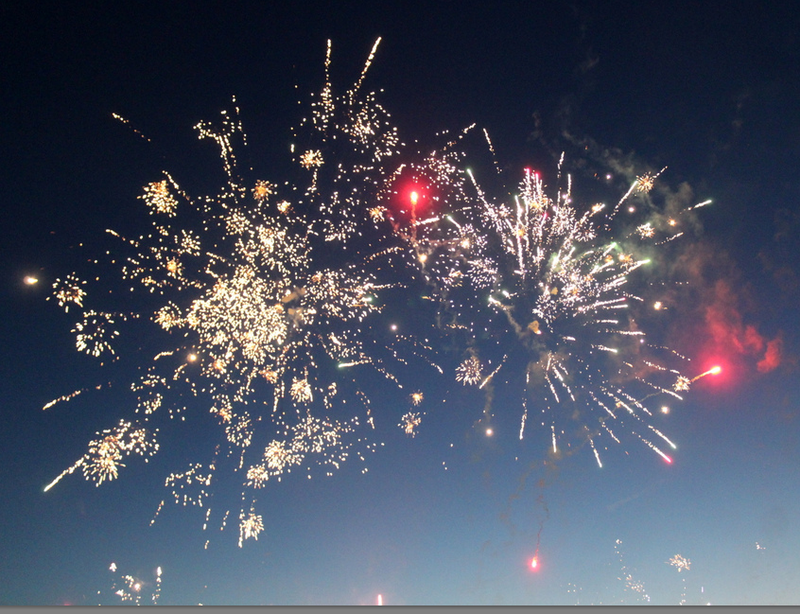 Although it was a windy night, the fireworks were blasted into the sky the night of this Walsh gathering. Bring your family and friends, wear your comfy gym shoes and remember your lawn chairs as we dance the afternoon away with entertainment by Scott Swearingen of Big Cat Entertainment and enjoy a fabulous fireworks display at 9:00 PM courtesy of Joe & Cindy Marchetti of Ultimate-FX. We hope to see you, your family and your friends on Saturday, June 23rd. Joe Walsh. A good guy. Good party on the 23rd. He welcomes everyone. Even liberals, far left wingers, socialists, Democrats and human pests. No No are you a good person? Why don’t you run for office. And by the way he did and he won! Then the State redrew his district so do nothing Tammy Duckworth could win! Walsh has had moments of the sanity lately, calling out Trump over his most egregious actions. When you are too far out for Joe Walsh…. And Herewego don’t blame the State. As always, Joe chose the district he thought he could win, not the one he represents. Three elections, three different disctricts. Will there be an Angel piñata?